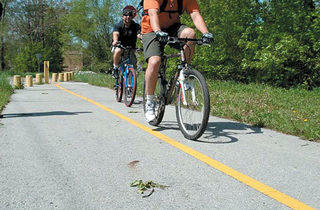 A celebrated South Side bike trail turns one year old this week. Does anyone care? Photograph: Tricia Parkeri BUMPY RIDE After a ballyhooed opening, the Major Taylor Trail sees more broken glass than cyclists. Then, something happened: nothing. Over the past year, the Major Taylor Trail, which bisects six miles of the Far Southwest Side, became a de-facto dumping ground. Broken beer bottles render much of the trail unrideable, while dirty mattresses make frequent cameos. Not to mention the trail’s navigational difficulties: Cyclists often face dead ends and ultra-confusing signs. “The average biker will find a way to get through the trail,” says Ed Dixon, president of the recently formed Major Taylor Cycling Club of Chicago. “But the ones who aren’t as average will give up.”The trail, named after a world-famous black cyclist (he was the second black champion for any sport and is buried in nearby Mount Glenwood Cemetery), starts at 81st and Hamilton Streets. It winds at a southeast angle to the bottom of the city, where it crosses the Little Calumet River and ends at Riverdale’s Whistler Woods. The idea for the trail was hatched back in 1992, when an abandoned railway caught the Department of Transportation’s eye. In 1998, flush with federal funds, the DOT acquired the land. Years of political wrangling followed, and in December 2006, the Chicago Park District took control of most of the trail. 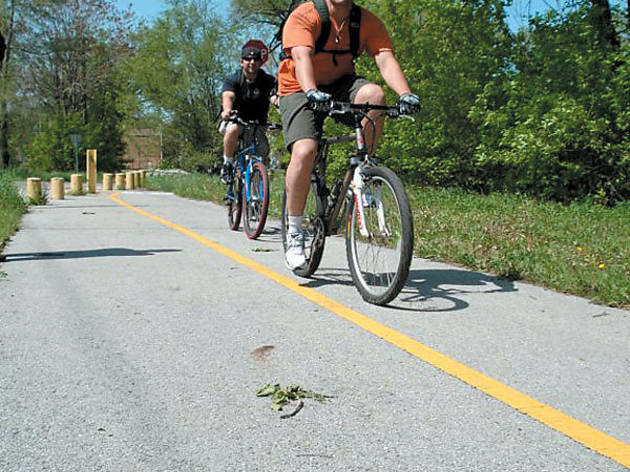 Six months later, the Major Taylor Trail became official, when it opened to the public on June 2, 2007. The key to the trail’s success, according to Maxey-Faulkner, is the creation of a trail advisory council, which would act as a sort of liaison between the Park District and the trail itself. “It’s something we’re very interested in doing,” she says. “I think [an advisory council] could help us understand where the troubled areas are. They could also help us develop programming for the trail in the future.” Currently, the trail has no budget, and it’s not officially recognized on the Park District’s site. An advisory council, says Maxey-Faulkner, would provide more clout.